In the 2010 big screen adaptation of Bryan Lee O'Malley's heavily video game influenced graphic novels, Michael Cera plays the titular Canadian musician and has to battle the 'seven evil exes' of 'Ramona Flowers' in order to win her heart. 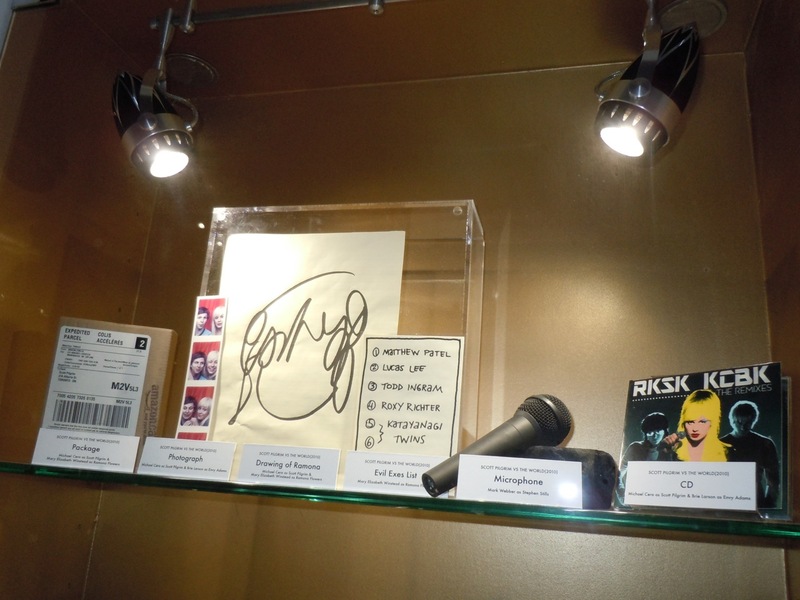 These props featured in the movie were photographed on display at Universal Studios Hollywood on January 7, 2011 and include the CD of fictitious singer and ex-girlfriend of Scott Pilgrim, 'Envy Adams', along with a photo booth strip of photos of the former couple. 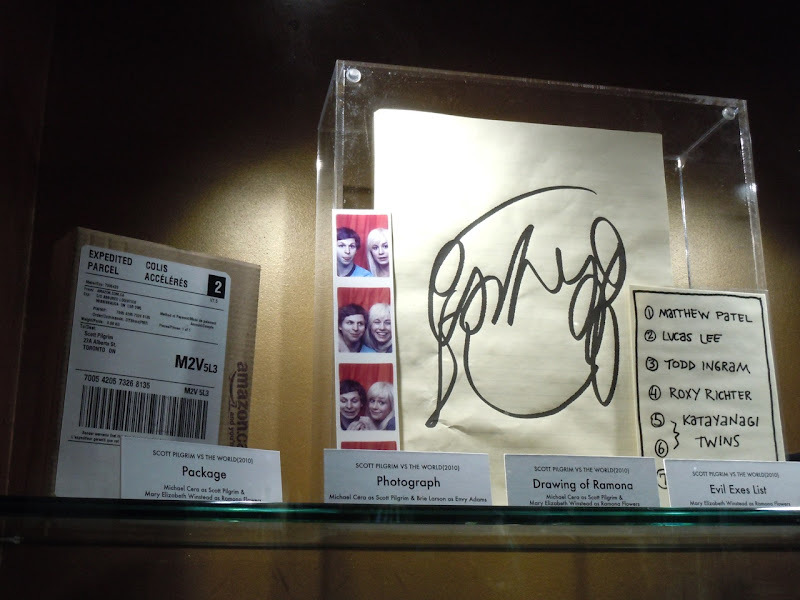 The prop exhibit also includes an illustration of the new object of Scott's affections, Ramona Flowers, plus the expedited Amazon.ca package that she delivers to him in order for Scott to ask her out. 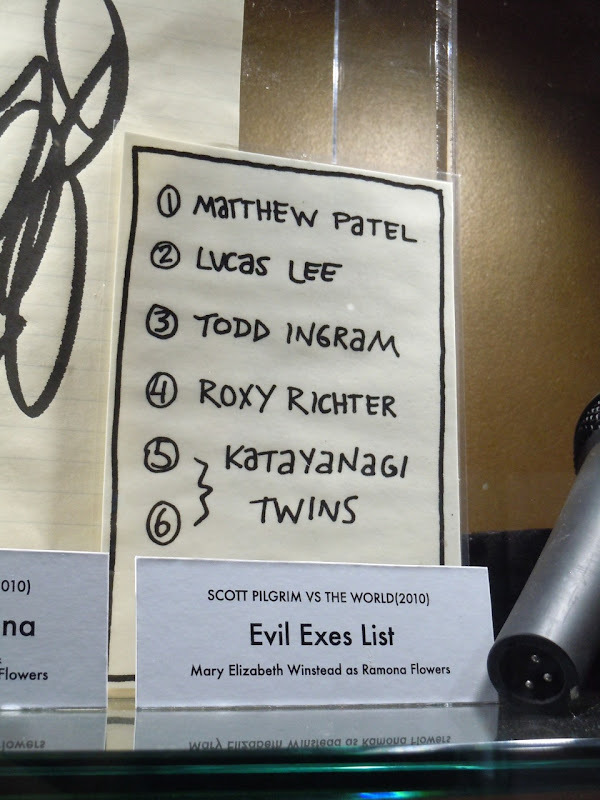 The 'Evil Exes' of Ramona Flowers are integral to the plot of the movie, and include the likes of Chris Evans as 'Lucas Lee' and Brandon Routh as 'Todd Ingram'. 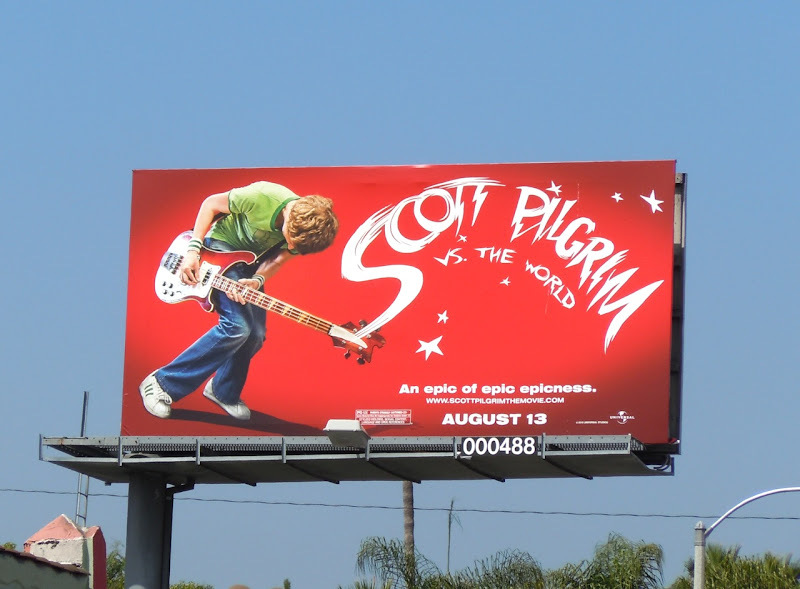 Visit Jason in Hollywood for a movie review of Scott Pilgrim vs The World. 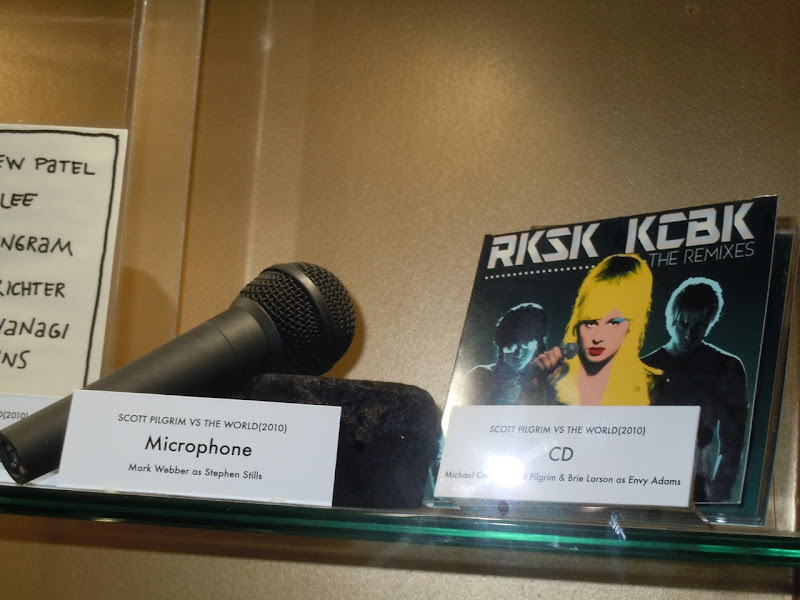 This display and archive exhibit is no longer at Universal Studios Hollywood - it has now closed permanently!